Some years ago I spoke with a woman at a dinner party who told me she had been traveling in Spain. I, trying to visualize the landscape and climate, asked, "Was it summertime?" And here's what she said: "Well, over there it was." I still laugh about that. Get it? She thought Spain and California, being roughly opposite each other on the planet, had opposing seasons. Anyway, it was summer there—and scorching hot—and this woman said that chilled Rose wines had been her best relief from the heat. This is one activity to which I've never subscribed—seasonal drinking, with reds being for winter in the log cabin, Rose id for summer on the porch. Nonetheless, I've recently explored the frontier of pink wines and selected a trio of standouts. 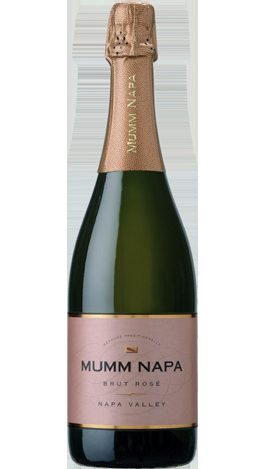 The Mumm Napa Brut Rose (no vintage) is my bubbly suggestion. An 85-15 sparkling blend of Pinot Noir and Chardonnay, the wine offers a surprising caramel character, buttery and creamy, with notes of both dark and dried fruits and a spike of bitter citrus. From Parducci in Ukiah, the 2010 Rose is graciously dry, smells of cranberry and banana, and tastes of raspberry, Thompson seedless grapes and salmonberries. Lastly, the 2010 Gran Feudo Rosado from Bodegas Chivite, in northern Spain's Navarra region, is excellent, a balanced, fruity wine that goes down smoothly, with no scraping of a rough edge. A clean, lingering aftertaste makes it an ideal wine for summer, whether here or there.